Is liability insurance included with the membership? No. We offer our members a choice of two discounted plans. For basic coverage, we offer the American Massage Council plan. 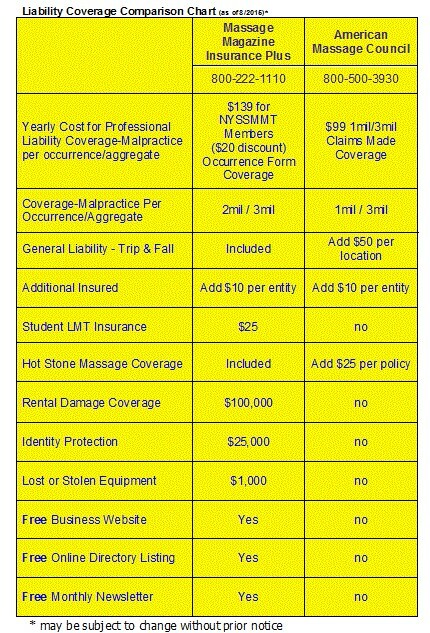 For more complete coverage, we have partnered with Massage Magazine Insurance Plus for a special NYSSMMT discount price to cover the professional LMT or student. Massage Magazine Plus offers an online payment option. You could be approved the same day.